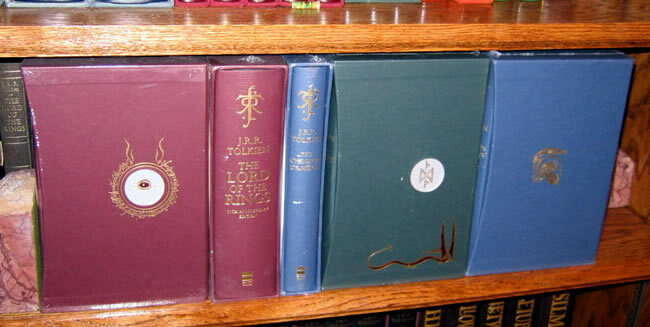 A comprehensive set of the latest Harper Collins Deluxe Editions of The Hobbit, The Lord of the Rings, and the new 2007 release of The Children of Hurin. 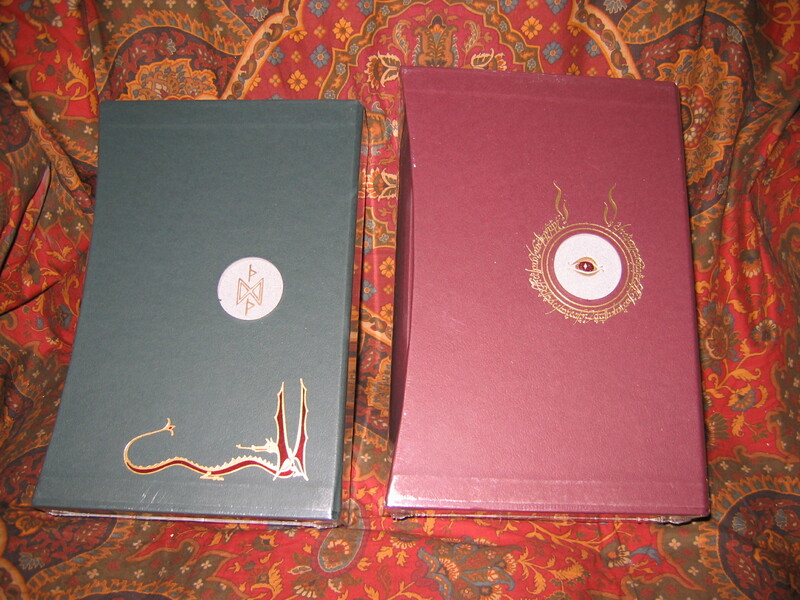 Matched in style and size, each book comes with it's own publishers slipcase. 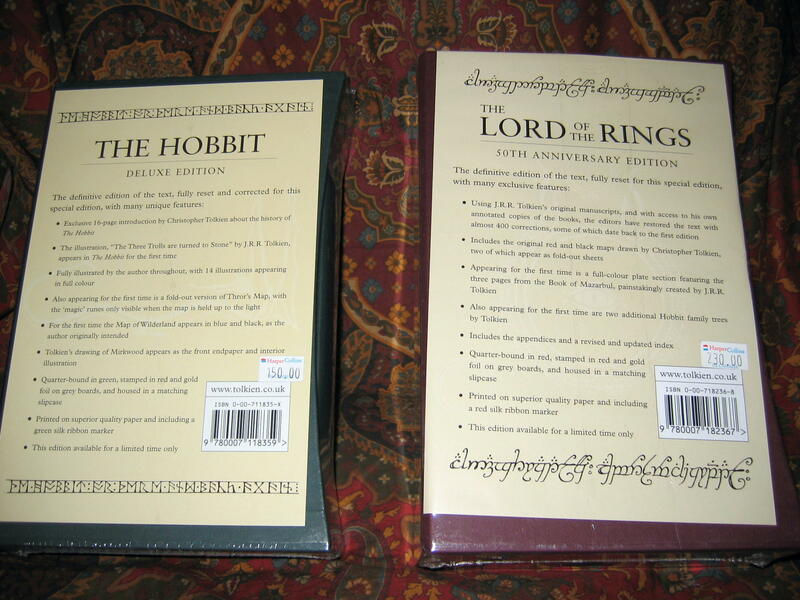 The Hobbit was released concurrently with the 50th Anniversary De Luxe Edition of The Lord of the Rings in 2004. 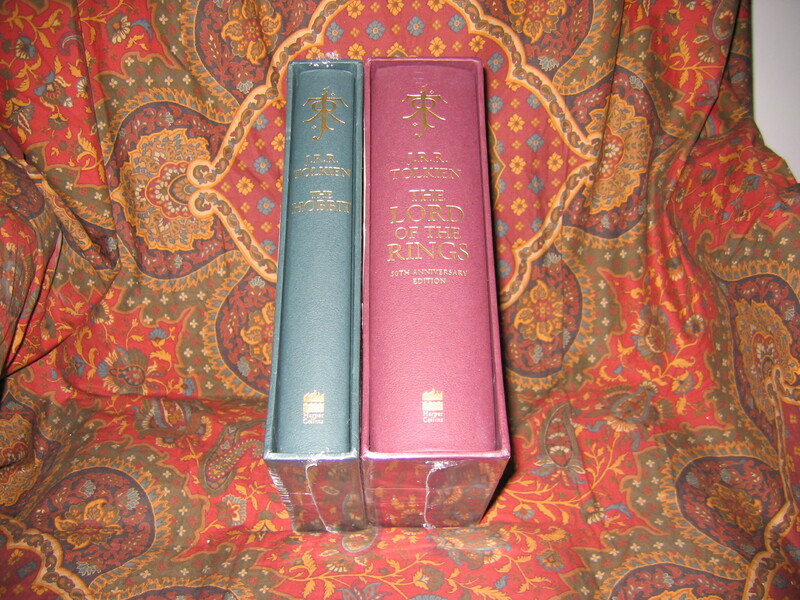 This set now includes the Deluxe Silmarillion in September of 2007.